In today’s technology-driven society, capturing the attention of high school students can be a daunting task. Active engagement in learning provides students with the necessary skills to competently meet the challenges in today’s workplace. Regardless of their career path, high schools must prepare students who can engage in their work, work effectively with others, identify and solve problems, and continue to acquire the necessary skills to succeed in their work roles. The Certified Production Technician (CPT) program enables students to build these foundational skills. 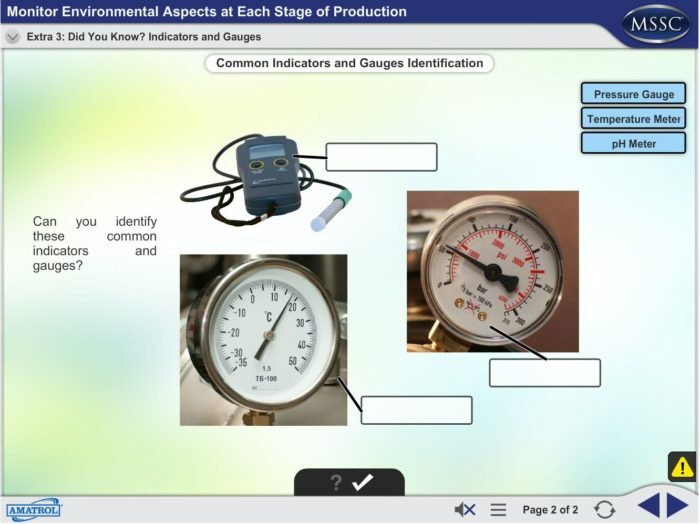 The program’s interactive multimedia curriculum uses a competency-based instructional design that teaches Manufacturing Skill Standards Council’s (MSSC) nationally-recognized standards. An engaging combination of video, text, audio, 3D animation, and interactive activities, the CPT curriculum captures the attention of students, keeps them engaged through the entire learning process, and ignites their passion for achievement. Advanced manufacturing offers some of the highest paying and most satisfying career opportunities available today, such as process technicians, control technicians, and quality control technicians. High school students seeking a career in manufacturing must demonstrate a wide variety of critical technical skills. MSSC’s CPT program provides training and certification in the foundational areas of safety, quality, manufacturing processes, and maintenance. In addition to teaching foundational technical skills, the CPT program addresses cross-functional skills, such as communications, teamwork, customer awareness, and workplace conduct. Recognized by the National Association of Manufacturers (NAM) as the foundation of its National Skills Certification System, the CPT certification is truly a portable credential. Engaging content makes students want to learn! Learning often depends on being able to keep students focused and engaged. Every learner is different, which means that effective learning material must address all learning styles. To this end, Amatrol’s curriculum incorporates text, animations, narration, video, pictures, drawings, and graphics to target multiple learning styles. By utilizing different elements, Amatrol keeps the material fresh and students moving forward, making learning fun! 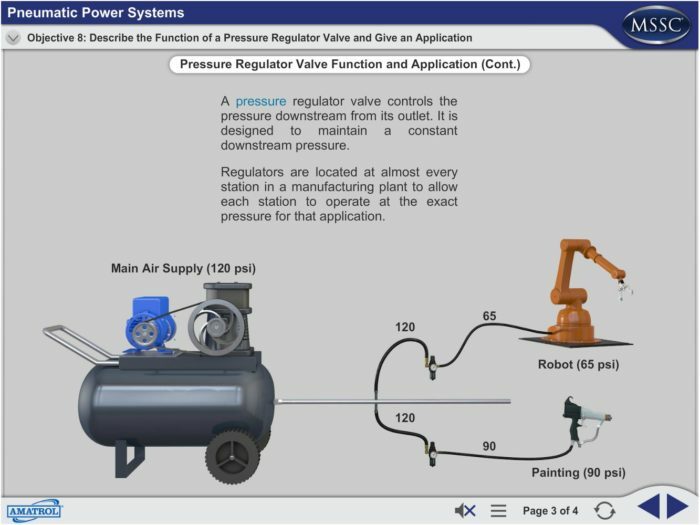 Animations are particularly useful in showing a student internal operations of machines and processes. Sometimes a picture really is worth a thousand words. Amatrol balances use of animation with video to show real world application and hands-on job tasks. Amatrol’s CPT Program contains many interactive exercises where students interact by pushing buttons, operating devices, identifying components, and more. This interactivity greatly enhances retention. All the fancy graphics, animation, and video in the world do nothing by themselves. They are only effective as part of well-developed, thorough curriculum. Amatrol’s Certified Production Technician program starts with safety and guides students through 39 self-paced learning units, preparing students for the MSSC Certified Production Technician assessments. MSSC strongly recommends the Amatrol Certified Production Technician program for this reason – it really gets the job done. The Certified Production Technician program by MSSC is an industry-led, standards-based training, assessment, and certification system focused on the core skills and knowledge needed by the nation’s advanced manufacturing workforce. The foundational areas of certification include safety, quality, manufacturing processes, and maintenance. The Manufacturing Skill Standards Council (MSSC) is an industry-led, standards-based, training, assessment, and certification system focused on the core skills and knowledge needed by the nation’s production and supply chain logistics workers. The nationwide MSSC System, based upon industry-defined and federally-endorsed national standards, offers both new and current workers the opportunity to demonstrate that they have acquired the skills increasingly needed in the technology-intensive jobs of the 21st century. Certified Production Technician (CPT): The MSSC System awards certificates to individuals who pass any of its four Production modules: Safety; Quality Practices & Measurement; Manufacturing Processes & Production; and Maintenance Awareness and a full Certified Production Technician (CPT) Certification to those who pass all four. Applicable to all sectors of manufacturing and all supply chain facilities, the MSSC “20/20 Vision” is to assess 20% of the nation’s front-line manufacturing production and material handling workers in 20 years. If attained, this vision would assess over 3 million workers during that period.